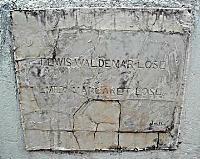 The inscriptions and translations of the gravestones behind the Lutheran Church in Frederiksted were transcribed by Carol Wakefield & Svend Holsoe 1989-1990. A thick masonry wall encloses the church building and the surrounding church yard/cemetery. 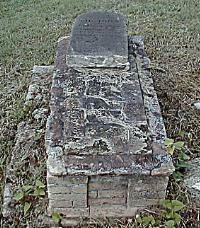 Of the remaining tombstones, the earliest records a death in 1804. Burials continued until space was no longer available. 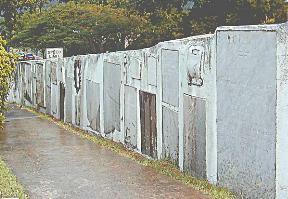 The tombstones that are listed below are all that are left standing in the once crowded yard. 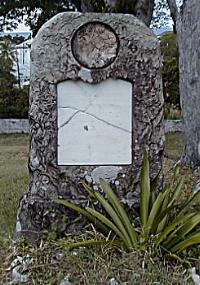 Most graves were marked only by traditional conch shells, which have deteriorated and in most cases, disappeared. 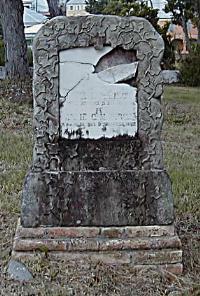 The remaining grave markers, of granite, marble and masonry, were more resistant to deterioration, but even some of these have been lost or have disappeared, as becomes evident when this list is compared with a partial recording made in the 1940's by Rachel Colby. In the 1950's, when a parish house was built in the church yard, a number of gravestones were removed from their original site and affixed to the inside of the church yard wall. 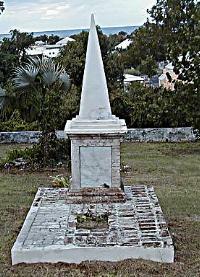 In more recent times, members of the congregation have been buried in the Frederiksted public cemetery across the street, where the northwest section has traditionally been the Lutheran area. The first grave you sees upon entering the church from the street on the east side is the that of Frederik v Scholten, which can easily be distinguished by its ornate wrought iron fence. Then if you turn immediately to the right (North) you will see the grave markers which have been incorporated into the wall itself. After continuing to the end of the wall, turn left and you will enter the church cemetery. 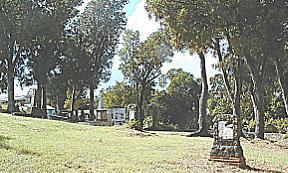 The graves in this cemetery are arranged in the book from right (North) to left (South), top (East) to bottom (West). After viewing the last grave in the church cemetery, which is found in the bottom left corner of the yard, if you follow the wall back to the front of the church, you will encounter seven more marker cemented into the south wall and two more additional graves. "HER UNDER HVILER FREDERIK v. SCHOLTEN, CAPITAIN AF DEN DANSKE S0ETAT, KAMMERHERRE RIDDER AF DANNEBROGE OG AF DEN FRANSKE AERES LEGIONS ORDEN M.M. 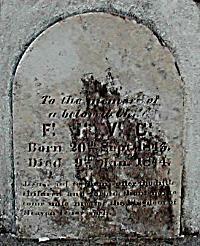 F0DT D. 8 APRIL 1796, D0D D. 2 DECEMBER 1853." In English the inscription reads: "HERE LIES FREDERIK v. SCHOLTEN CAPTAIN OF THE DANISH NAVY, CHAMBERLAIN KNIGHT OF DANNEBROG AND OF THE ORDER OF THE FRENCH LEGION OF HONOR ETC. BORN THE 8 APRIL 1796, DIED THE 2 DECEMBER 1853." ANDREAS JOHANNES ANDRESON Byfoged og Politimester i Frederikssted, Justitsraad, R. a. D., fodt i Sundewitt i Slesvig den 18 Marts 1783, dod i Frederikssted paa St. Croix den 4di Mart 1851. Aab.XXI,4. Guol skal aftorre hver Taare. Her hviler, efter Livets Moie, Den Ringes og Baetraengtes Ven.Med Pligt og Rejfaerd kun for Oie Mod guvnrigt Maat han straebste han.De Armes Tak han vilde vinde: Mens Kilden rinden, han dem gav, I deres Hjerter staaer hans minde Me-r skjont end Mindet paa hans Gj__. 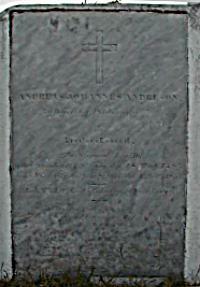 In English the inscription reads: "ANDREAS JOHANNES ANDRESON Baliff and Police Chief in Frederiksted, Judicial Counselor, Knight of Dannabrog born, in Sundewitt in Slesvig the 18 March 1783, died in Frederiksted on St. Croix the 4th March 1851. Rev. XXI:4 He will wipe every tear from their eyes. Here lies, after life's toil, the humble and considerate friend. With only duty and fairness as his guide he exerted himself against personal profit. 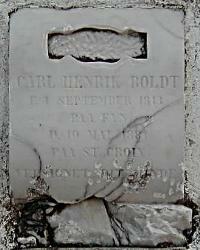 He will receive the thanks of the poor: While the stream flows, have they received, in their hearts his memory will be more beautiful than the memory of his grave"
"CARL HENRIK BOLDT F. 1 SEPTEMBER 1813 PAA FYN D. 10 MAI 1881 PAA ST. CROIX. VELSIGNET DIT MINDE. 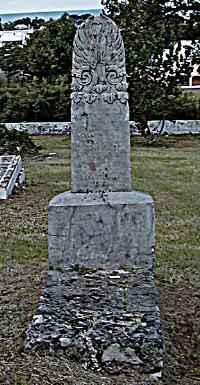 In English the inscription reads: "CARL HENRIK BOLDT B(ORN) 1 SEPTEMBER 1813 ON FYN D(IED) 10 MAY 1881 ON ST. CROIX. BLESSED BE YOUR MEMORY." "SACRED TO THE MEMORY J.O.ATWKL OF N.TORR CHRISTIAN, P, JENSEN. WHO DEPARTED THIS LIFE ON THE 4TH JULY, 1851. AGED 62 YEARS." "HER HVILER DET FORKRAENKELIGE AF VIGGO GROVE, LIEUTENANT I DEN DANSKE S0ETAT, 21 AAR; D0D DEN 26DE NOVEMBER 1852. HANS LIV VAR KJAERLIGHED, HAN D0D I SIN PLIGT." 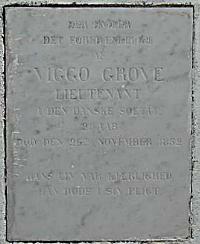 In English the inscription reads: "HERE LIES THE REMAINS OF VIGGO GROVE, LIEUTENANT IN THE DANISH NAVY, 21 YEARS OLD; DIED THE 26TH NOVEMBER 1852. HIS LIFE WAS DEAR, HE DIED AT HIS DUTY." 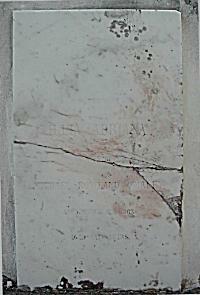 "ANNE CATH: ASMUSSEN GEB: IN FLENSBURG DEN 29 MARZ 1830. GEST: DEN 21 SEPTB: 1852. FRIEDE MIT IHRER ASCHE." 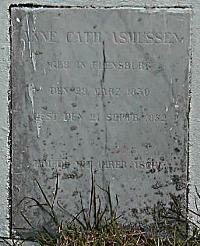 In English the inscription reads: "ANNE CATH: ASMUSSEN BORN IN FLENSBURG THE 29 MARCH 1830. DIED THE 21 SEPTEMBER 1852. PEACE BE WITH YOUR REMAINS"
"CLARA AUGUSTA WEDERS0 F0DT SCHUSTER, F. 4 MAI 1826, D. 30 JUNI 1861." 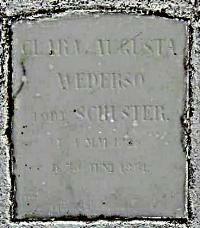 In English the inscription reads: "CLARA AUGUSTA WEDERSO BORN SCHUSTER, B(ORN) 4 MAY 1826, D(IED) 30 JUNE 1861." 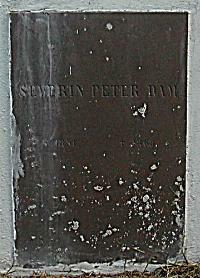 "SEVERIN PETER DAM 1831, + 1868"
"Skibscapitain P: F: C: Gude 1823. - 1855 Dod i det fremmede Land, langt fra Slaegt, Hustru og Barn. Men vi tro at blivehalige ved den Herre Jesu Christi Naade. Apostl: Gjern: 15,11." 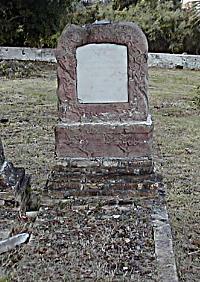 In English the inscription reads: "Ship Captain P. F. C. Gude 1823 - 1855 Died in a foreign land, far from Family, Wife and Child. But we believe that (we) shall be saved through the Grace of our Lord Jesus Christ. Acts of the Apostles, 15:11." 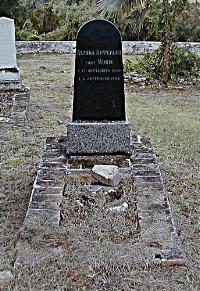 "HER HVILER SKOMAGER JACOB S0RENSEN F0DT DEN 11 APRIL 1823, D0D DEN 31 JANUAR 1874. FRED MED DIT ST0V." 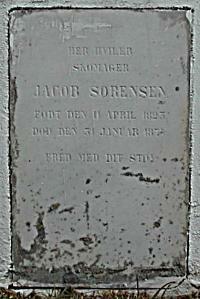 In English the inscription reads: "HERE LIES SHOEMAKER JACOB SORENSEN BORN THE 11 APRIL 1823, DIED THE 31 JANUARY 1874. PEACE TO YOUR REMAINS." 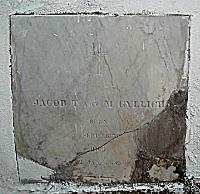 "JACOB HEITMANN GYLLICH F0DT 28 MARTS 1795. D0D 16 AUGUST 1868. " 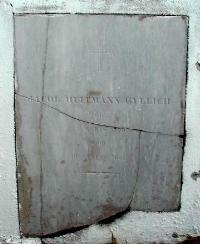 In English the inscription reads: "JACOB HEITMANN GYLLICH BORN 28 MARCH 1795. 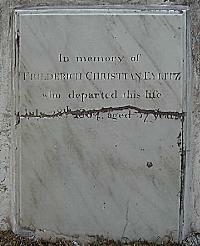 DIED 16 AUGUST 1868." "JACOB T: von M: GYLLICH BORN 6 SEPT: 1830. 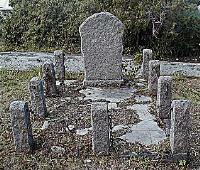 DIED 22 JAN: 1859"
"PETER CARL LAURITZ LARSEN, F0DT 27 MAI 1854. I KJ0BENHAVN, D0D 2 FEBRUAR, 1871 I ST: CROIX." 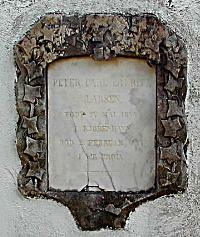 In English the inscription reads: "PETER CARL LAURITZ LARSEN, BORN 27 MAY 1854 IN COPENHAGEN, DIED 2 FEBRUARY, 1871 IN ST. CROIX." 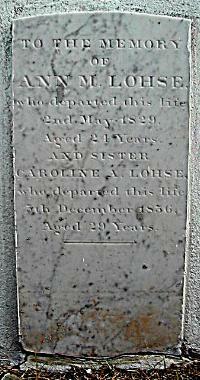 "TO THE MEMORY OF ANN M. LOHSE, who departed this life 2nd May 1829, Aged 24 Years AND SISTER CAROLINE A. LOHSE, who departed this life 5th December 1836, Aged 29 Years." "S0REN M0LLER WESSEL-BROWN, CAND: PHIL: F0DT 27DE DECEMBER 1807 I BRENDERUP PRAESTEGAARD I FY____ D0D 23DE NOVEMBER 185_ HAN VAR TR0 OG REDELIG I SIN VAN__ ELSKET OG AGTET AF ALLE DER KJENDTE HAM. SAVNET OG VELSIGNET AF SLAEGT OG VENNER. NU NYDER HANS KJAERLIGE HJERTE SIN L0N HOS GUD." 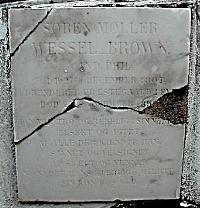 In English the inscription reads: "SOREN MOLLER WESSEL-BROWN, CAND. PHIL. BORN 27TH DECEMBER 1807 IN BRENDERUP PARSONAGE ON FY_ DIED 23RD NOVEMBER 185 HE WAS TRUE AND HONEST IN HIS PIL___ LOVED AND RESPECTED BY ALL WHO KNEW HIM, MISSED AND BLESSED BY FAMILY AND FRIENDS. NOW HIS DEAR HEART ENJOYS ITS REWARD WITH GOD." 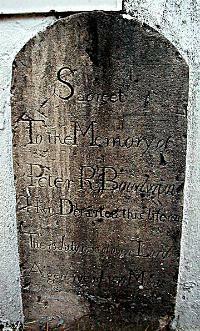 "Sacreet To the Memory of Peter R: Boudwin Hwo Departed this life on The 13 July 1835 of over Lord Aged iyear & 6 Monts." "LEWIS WALDEMAR LOSE EMILY MARGARET LOSE JJ.R." 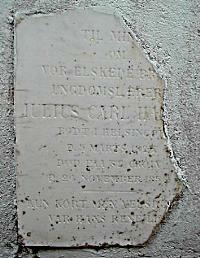 "TIL MIN____ OM VOR ELSKEDE BRO____ UNGD0MSLAERER___ JULIUS CARL HA___ F0DT I HELSING0R D. 5 MARTS 1825, D0D PAA ST: CROIX D. 24 NOVEMBER 1856. KUN KORT MEN VELSIGN__ VAR HANS RENE LIV__"
In English the Inscription reads: "TO THE ______ OF OUR BELOVED BRO____ TEACHER OF YOUTH JULIUS CARL HA ____ BORN IN ELSINGOR THE 5 MARCH 1825, DIED ON ST. CROIX THE 24 NOVEMBER 1856. SHORT BUT BLESS___ WAS HIS PURE LIF__." "ERNST ALGER SARAUW fodt 25 Sept: dod 30 Sept: 1850." 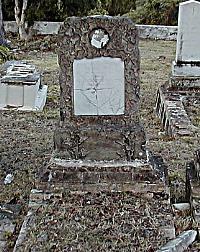 In English the inscription reads: "ERNST ALGER SARAUW born 25 September died 30 September 1850." 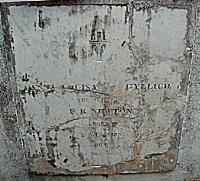 "ANNA LOUISA B0RN GYLLICH THE WIFE OF F: R: NEWTON BORN 21 AUG: 1833 (or 1855) DIED 4 DEC: 1862." "IN SACRED MEMORY OF SISTER EMMA H. F. FRANCIS LUTHERAN DEACONESS BORN Dec. 7, 1875 ST. KITTS. B.W.I. DIED APRIL 8, 1945 ST. CROIX, V.I. Her life of Christian service has benefited many. God be praised." "OCT 16, 1885 - JAN. 26, 1925 ROSAMOND MACKAY THE REDEEMER GATHERETH THE LILIES FROM AMIDST THE THORNS AND SHE WAS A FLOWER RIPE FOR HEAVEN"
"CLARA ALEXANDRA BJERG FEBRUARY 2, 1860 MAY 13, 1930"
"To the memory of JOHN BALTHAZAR DUNLOP Born at St. Croix 8, 1788, Died March 4, 1838." "HER GJEMMES EN ELSKET S0N John Baltasar Dunlop. F0DT 25DE OCTOBER 1840, D0D 20DE JANUAR 1845." In English the inscription reads: "HERE IS KEPT A BELOVED SON John Balthazar Dunlop. 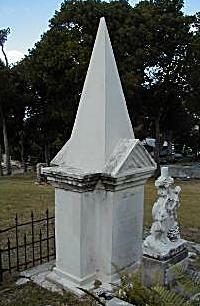 BORN 25 OCTOBER 1840, DIED 20 JANUARY 1845." "HERMAN JETZMARK DUNLOP BORN 27 NOVEMBER 1852, DIED 7 JANUARY 1853." "IN LOVING MEMORY THE REV. ALLEN G. YOUNGBLOOD 1902 - 1973"
"HELLIGET MINDET OM ANN ELIZE HOLM F0DT SHERIF, F. 25DE OCTBR. 1808, D. 17DE JULI 1859, SAMT HENDES DATTERB0RN, EMMA T. N. BIRCH, F. 31TE MARTS 1867, D. 31TE AUG. S. A. OG ANNIE C. M. BIRCH, F. 8DE FEBR. 1860, D. 18DE NOVBR. 1867." In English the inscription reads: "HALLOWED MEMORIAL FOR ANN ELIZE HOLM BORN SHERIF, BORN 25TH OCTOBER 1808, DIED 17TH JULY 1859, ALONG WITH HER DAUGHTERS CHILDREN, EMMA T. N. BIRCH BORN 31ST MARCH 1867, DIED 31ST AUGUST THE SAME YEAR ND ANNIE C. M. BIRCH, BORN 8TH FEBRUARY 1860. DIED 18TH NOVEMBER 1867." "HER UNDER HVILER MIN INDERLIG ELSKEDE BRODER, HANS KONES OG LILLE DATTERS TROFASTE ST0TTE, OG FORS0RGER JACOB NICOLAI THIELSEN 5 OCTBR: 1834 I KJ0BENHAVN, + 10 JANUAR 1868.FRED MED DIT ST0V DU ELSKEDE MAND, OG BRODER." In English the inscription reads: "HERE LIES MY DEARLY BELOVED BROTHER, HIS IFE'S AND LITTLE DAUGHTER'S FAITHFUL SUPPORT AND PROVIDER JACOB NICOLAI THIELSEN 25 OCTOBER 1834 IN COPENHAGEN, 10 JANUARY 1868. PEACE TO YOUR REMAINS BELOVED HUSBAND, AND BROTHER." "HICIACET HENRICUC CERNER DE (OE) SCHMIDTEN MAC: ART: MATHES: IN UNIVERS: HAUNIENSI PROF: N:D:11 FEBR. 1799. IN PRAEDI0VILLIAMSBORG APUD OPPIDUM VEILE IUTLANDIAE DEN:D:16 JUL. 1831. IN CROLON. HOPE INS: S. CRUCIS VIXIT INTER SUOS SUORUM DELICIAE PROCUL A SUIS MORTUUS VIVET INTER SUOS SEMPER. SACROS ENIM AMORIS VERITATIS LIBERTATIS PIETATIS IGNES ARDENTES OLIM IN PECTORE GENERSO OCULORUM ACIE MICANTES NUNC-EHEV PRAEMATURE_EXSTINCTOS LUCENT AT AMANT LUCENTES EET AMABUNT AMICI VIRTUTIS LITTERARUM PATRIAE. LAPIDEM MAGSTA MATRIS FRATRUM SORORUMPIETAS POSUIT MOLLITER OSSA TRANS MARE CUBENT. In English the inscription reads: "HERE LIES HENRIK CERNER DE SCHMIDT MASTER OF ARTS IN MATHEMATICS, PROFESSOR AT THE UNIVERSITY OF COPENHAGEN BORN 11 FEBRUARY 1799 AT PRAEDIVILLIAMBORG IN THE TOWN OF VEJLE, JUTLAND DIED 16 JULY 1831 AT ESTATE( ? ) HOPE, ST. CROIX ISLAND HE RESIDED AMONG HIS OWN AS THEIR FAVORITE FAR FROM HI5 OWN, HAVING DIED, HE WILL LIVE AMONG THEM ALWAYS. FOR THE SACRED FIRES OF LOVE TRUTH, LIBERTY AND DEVOTION BURNING FORMERLY IN HIS GENEROUS HEART SHINING IN THE GLANCE OF HIS EYES NOW - PREMATURELY EXTINGUISHED THE FIRES STILL SHINE AND BURN THE FRIENDS OF VIRTUE AND LITERATURE AND HIS COUNTRY WILL LOVE HIM STILL. THIS STONE WAS ERECTED AS THE SORROWFUL DUTY OF A MOTHER, BROTHERS AND SISTERS. MAY HIS BONES LIE GENTLY ACROSS THE SEA." "HER UNDER HVILER ELIZA DIDRICHSEN, F0DT GORDON 20 DECB. 1806, D0D 25 OCTB. 1859. SAVNET AF HENDES FAMILIE OG VENNER." 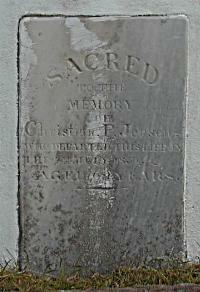 In English the inscription reads: "HERE LIES ELlZA DIDRICHSEN, BORN GORDON 20 DECEMBER 1806, DIED 25 OCTOBER 1859. MISSED BY HER FAMILY AND FRIENDS." "Almira Ripperger Fodt Worm 17 September 1829 + 5 September 1909 "
In English the inscription reads: "Almira Ripperger Born Worm 17 September 1829 5 September 1909"
"Her hviler stovet af Dr. R. P. Worm, Fodt paa St. Croix 12 Nov. 1786, dod sammested 19 Juli 1863. Elsket og agtet af alle, som kjendte ham. Velsignet ere de som do I Herren." 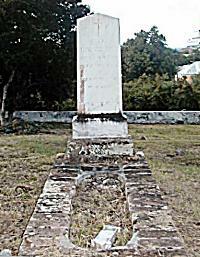 In English the inscription reads: "Here lies the remains of Dr. R. P. Worm, Born on St. Croix 12 Nov. 1786, died the same place 19 July 1883. Beloved and respected by all, who knew him. Blessed are those who die in the Lord." "JOHAN GEORG RIPPERGER, F0DT 16 AUGUST 1818, D0D 25 JANUAR 1875. B0RN: GEORG THEODOR CHRISTIAN, F0DT 11 JUNI 1859, D0D 10 MARTS 1860. THORA HELENE F0DT 11 MAI, 1867, D0D 2 OCTOBER 1868. FRED VAERE MED EDER!" 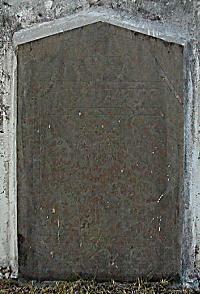 In English the inscription reads: "JOHAN GEORG RIPPERGER, BORN 16 AUGUST 1818, DIED 25 JANUARY 1875. CHILDREN: GEORGE THEODOR CHRISTIAN, BORN 11 JUNE 1859, DIED 10 MARCH 1860. THORA HELENE, BORN 11 MAY 1867, DIED 2 OCTOBER 1868. PEACE BE WITH YOU!" "OVERLAEGE CARL EMIL HOLM F0DT D. 4DE OCTOBER 1812, D0D D. 5TE SEPTEMBER 1873. KJAERLIG OG TROFAST SOM S0N OG BRODER. VELSIGNET VAERE DIT MINDE! In English the inscription reads: "CONSULTING PHYSICIAN CARL EMIL HOLM BORN THE 4TH OCTOBER 1812, DIED THE 25TH SEPTEMBER 1873. LOVING AND FAITHFUL AS A SON AND BROTHER. BLESSED BE YOUR MEMORY!" "IN MEMORY OF LOUISA van BRAKLE WHO DIED ON THE 6TH SEPTEMBER 1844. AGED 42 YEARS." "Apotheker Jean Petersen 1864 - 1914 "
"HER UNDER HVILER NIELS. I. PALM. AF DRAG0R, F0DT 19 MAI 1859, D0D 9 FEBRUAR 1878. VELSIGNET VAERE DIT MINDE OG FRED MED DIT STOV PAA FREMMED KYST." 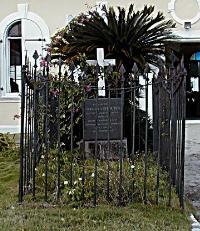 In English the inscription reads: "HERE LIES NIELS I. PALM OF DRAGOR, BORN 19 MAY 1859. 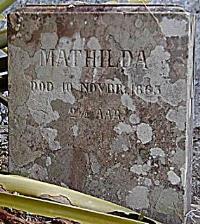 DIED 9 FEBRUARY 1878. BLESSED BE YOUR MEMORY AND PEACE TO YOUR REMAINS ON A FOREIGN SHORE. 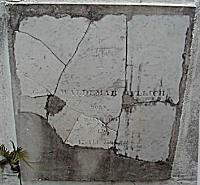 "In memory of FRIEDERICH CHRISTIAN EYLITZ who departed this life July 28th 1804, aged 37 years." 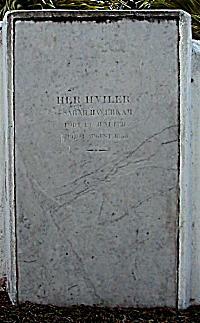 "HER HVILER SARAH HAVERKAM F0DT 19: JUNI 1821, D0D 1: AUGUST 1858." "HERUNDER HVILER FRUE CATHARINE MARIE GYLLICH. fodt Heitmann fodt d: 2 Martz 1757 dod d: 21 September 1846. En Vandring kun er Livet her; Vort rette Hiem i Himlen er. Did stunder hvert et modigt Fied; Thi Banen gaaer til Lys og Fred." 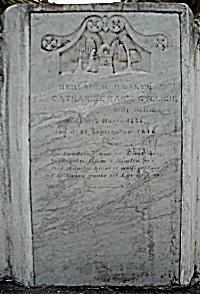 In English the inscription reads: "HERE LIES MRS. CATHARINE MARIE GYLLICH, born Heitmann born the 2 March 1757 died the 21 September 1846. Life is only a wandering here; our proper home in heaven is. Your progress each a brave step; for the path goes toward light and peace." "ANN SOPHIE WENDEL F0DT NOBLITT. 2 AUG. 1837, + 18 MAI 1869. HVIL MED FRED." 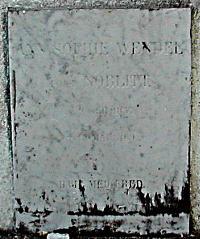 In English the inscription reads: "ANN SOPHIE WENDEL BORN NOBLITT.____ 2 AUGUST 1837 + 18 MAY 1869 REST IN PEACE." "To the memory of a beloved Child F:J:V:C: Born 20th Sept. 1843. 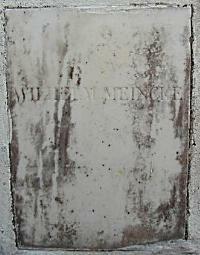 Died 9th Jan. 1844. Jesus said to them suffer the little children and forbid them not to come unto me for the kingdom of Heaven is for such." "IN MEMORIAM IULIA ADRIANA WIFE OF MICHAEL ROWLAND O'MALEY, DIED MARCH 12TH 1863 AGED XXIV YEARS." "MATHILDA D0D 10 NOVBR., 1863 2 1/2 AAR."